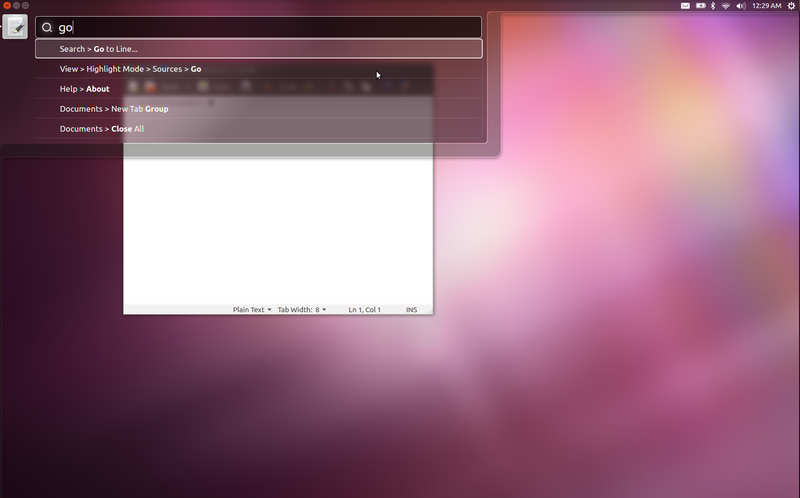 A few days ago Ubuntu 12.04 hit the web and I tried it out immediately. I installed it on my USB stick and loaded it up. A lot has been done since the last Alpha release, where many of the new features were only available from a special testing PPA, but now most of these new features are available by default. The system also seems really stable, and I only saw a small amount of “App crashed, please send feedback” dialogs. One new feature is the HUD and I think it’s amazing. It enables you to search through application menus using your keyboard, making it really easy to access those hard to reach options of the application. This is not a feature regular Joes will be using a lot, but it will allow more advanced users to find those pesky menu items faster. They will aslo reach for the mouse less often, thus saving valuable time. I know some other desktop shells had this feature before (I hear Awesome has it for quite some time now) but I really don’t understand why this isn’t more common. I had some issues where the HUD displayed the wrong application menus and it was a bit slow at times, but that could all be due to me running the system on an USB stick. All in all this is a feature I am looking forward to most. It might even make me start using Unity instead of Gnome Shell. There was a lot of talk this release cycle on how 12.04 will improve the multimonitor experience. What they have done so far is to display the Unity launcher on all of the monitors and not just on the primary display like it was before. This change makes you loose some screen space on both of your monitors, but it does make your application shortcuts more available. I can see how this could annoy some people but I don’t really mind seeing a duplicate launcher (you can even make both of them autohide which solves the screen space issue). What I do mind is that currently, the mouse gets stuck while transitioning from one monitor to the other as it “collides” with the launcher in the middle of the screen. This gets a little annoying after some time and I really hope they will fix this before the final release. Notifications oddly enough still appear only on the secondary monitor, making them easy to miss when you are focusing on something on the primary monitor. I was surprised that I had no troubles at all with the AMD Catalyst drivers, as multimonitor support worked out of the box even on the propriety drivers. I even copied the xorg.conf file from the beta back to my 11.10 installation to fix an issue I was having.